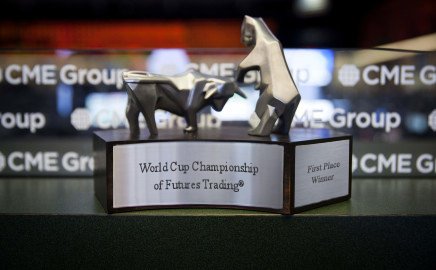 Welcome to the World Cup Trading Championships® Entries are being accepted for the 2019 World Cup Championship of Futures Trading® and the 2019 World Cup Championship of Forex Trading®. These are real-money competitions based on net returns, with a minimum of just 10 round-turn trades of any size required to qualify for coveted Bull & Bear trophies, great prizes and an opportunity to join the advisory team at WorldCupAdvisor.com. 2019 marks the 36th consecutive year of World Cup Trading Championship events. Trading futures and forex involves significant risk of loss and is not suitable for everyone. Past performance is not necessarily indicative of future results. CME Group is the trademark of CME Group, Inc.